Astaxanthin is a substance in the carotenoid family and can be found in wild caught salmon and krill. Astaxanthin is a very powerful antioxidant and is touted to have a numerous amount of health benefits. Many health claims for astaxanthin are based on the fact that it is a strong antioxidant. Recent studies show that astaxanthin can increase general blood flow and help to reduce blood glucose. That being said, astaxanthin is one of the best anti-aging and antioxidant supplements you can find. If you’re looking for a way to boost your immune system and stay healthy for long periods of time, astaxanthin may be a good supplement for you to try. Astaxanthin is found naturally in a lot of ocean plant life. Astaxanthin is considered to be one of the strongest antioxidants with powerful potential anti-inflammatory, anti-bacterial, and anti-cancer effects. 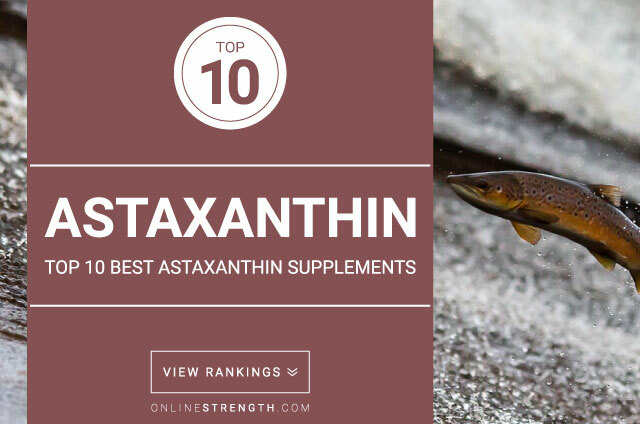 Astaxanthin is better absorbed when consumed in an oily base. Should be taken with food for best results. The ideal dose of astaxanthin is currently not known. Studies using astaxanthin range from 4 – 16 mg daily. Its best to follow the manufacturers supplementation label for best results.